This charming Hotel is set in Aeropuerto Internacional Galeao. 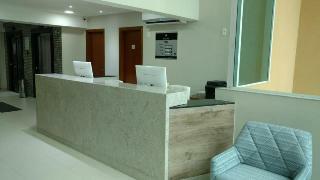 There are a total of 162 rooms at Linx Galeão BY GJP. Wi-Fi internet connection is available for further comfort and convenience. Additionally, the premises provide a reception service the whole day through. All accommodation units include cots for little children on demand. Pets are not allowed at Linx Galeão BY GJP. 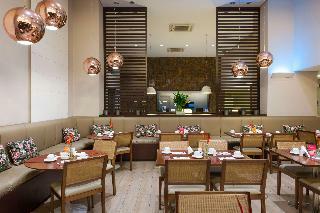 The daily breakfast buffet offers a variety of fresh fruits, breads and cold meats. Guests can also enjoy regional and international specialties, as well as a selection of drinks in the hotel's restaurant. Linx Hotel International Airport Galeão also offers 24-hour free shuttle service and screens with flight hours. This charming hotel is in Aeropuerto Internacional Galeao. This accommodation offers a total of 99 units. Moreover, there is a wireless Internet connection available on-site. The reception is open 24/7. 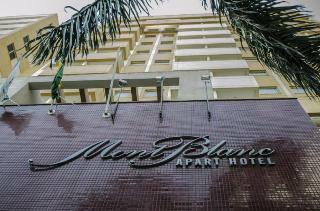 Cots are not available at Mont Blanc Apart Hotel - Duque De Caxias. Pets are not permitted on the premises. This unpretentious hotel is in Aeropuerto Internacional Galeao. Guests will enjoy a peaceful and calm stay on the premises, as it counts with a total of 1units. Moreover, there is a wireless Internet connection at hand in communal areas. Mont Blanc Suites Duque De Caxias provides 24-hour reception. Cots are not available at Mont Blanc Suites Duque De Caxias. Those who dislike animals may enjoy their stay, as this property does not allow pets. Additionally, a car park is available on the premises for guests' extra convenience. Located in Duque de Caxias, on the metropolitan region of Rio de Janeiro, the Best Western Multi Suítes is on Rodovia Washington Luiz, the highway that connects Rio up to the north. 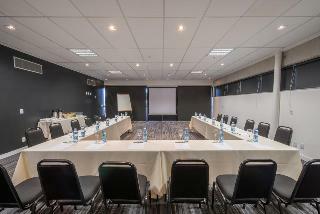 It offers convenient access for guests to the business center of Duque de Caxias and region and it is perfect for the business traveler in that area. Caxias Shopping is on the other side of the road, where you can find a Multiplex movie theater and a food court with many options. Corporate travelers and those in town for events appreciate that the hotel is only 15 minutes away from the Galeao International Airport and Linha Vermelha that connects you to the center of Rio in 40 minutes. In addition the hotel is near to an industrial park featuring several local companies, such as the printing plant of Jornal O Globo. The property offers breakfast, Wi-Fi internet and parking free for the guests. The rooms are equipped with cable television, air conditioning, safe box, electric kettle, hair dryer, mini bar and microwave ovens. The restaurant offers an international cuisine menu and there is also a convenience store on the lobby to make your stay even more comfortable! Very near the airport; phone available at arrivals to call for shuttle. Highly recommended for a stopover.